Running Repairs is an evidence-based course with a strong practical element to help physiotherapists and health professionals manage running injury. The course is led by Running Injury Specialist Tom Goom, widely know as ‘The Running Physio’. Tom has gained a worldwide audience and a growing reputation in the sports medicine community due to his extensive writing on running related injury. He has written for the British Journal of Sports Medicine Blog, Running Fitness, Kinetic Revolution and Men’s Running UK and has recently published his first research paper. Tom’s passion is turning research findings and theory into practical solutions for patients you see in every day clinic. May 18th & 19th – St. Albans fitness and wellbeing gym. **Fully booked** Join waiting list through Eventbrite. July 6th & 7th – Horton General Hospital, Banbury, Oxfordshire. Book here through Eventbrite. July 13th & 14th – Derriford Hospital, Plymouth, Devon. Book here through Eventbrite. In addition to our face-to-face courses we now have a comprehensive online version of Running Repairs. It contains all the key content across 14 modules with bonus features and a great collection of rehab videos and clinic tools. Currently enrolment is closed but if you click on the image below to join our waiting list you’ll be able to access Running Repairs Online as soon as it’s available again. It’s really important to us that our courses provide you with useful, practical information that you can use in clinic. It’s easy to attend a course then find some months later that it hasn’t influenced your practice or that you haven’t got the confidence to use what you’ve learned. An example for this is gait analysis, the theory is complex and may be challenging for some but we make sure all participants have multiple opportunities to analyse gait on the course and apply the theory to clinical cases. For many this opens up lots of possibilities and ideas for movement analysis for athletes and non-athletes alike. Our courses are friendly and informal and we encourage discussion and respectful debate. Our aim is to provide a relaxed and enjoyable environment in which to learn and develop skills. One aspect of the course that we’re very proud of is The Portal which houses all pre and post-course information. 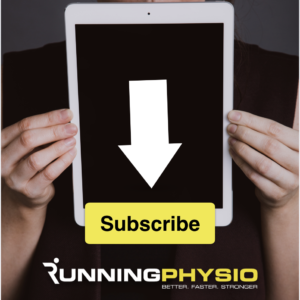 We want to help you continue your development beyond the course and provide extensive resources with additional video content, exercises from the course and links to all relevant research and blog articles. As the course develops The Portal evolves too and you can check back in future to look for new articles and features. This is exclusive to you and accessed only by those that have attended the course. “Really enjoyed the Running Repairs course over the weekend. Would highly recommend for any physio that assesses and treats runners” David. We ask our course members to rate our content and delivery out of 10 (where 10 is best possible) for each course. Our average so far is content 9.4 and delivery 9.6. Is the course suitable for Sports Therapists, Podiatrists and other health professionals? The course is suitable for any health professional involved in managing athletes. We welcome non-physios! However it is important to note that we have a strong focus on strength and conditioning, exercise prescription and movement anaylsis. Clinicians not involved in prescribing exercises may find some aspects of the course may not be relevant to them. In addition there is some ‘hands on’ treatment on the course but please note that the majority of the content is focussed on exercise based interventions. If you aren’t sure if the course is for you please email us your contact number and we’ll chat to you about it in more detail. Please follow the links above to book for each specific course. Many venues will have options to pay online (e.g. Through Eventbrite or the HES Website) but some may ask you to complete a booking form and pay via bank transfer or cheque. Is there pre-course reading required? There is a small amount of pre-reading but no serious homework I promise! It’ll be sent to you via email prior to the course. Previous articleShould I switch to forefoot running?